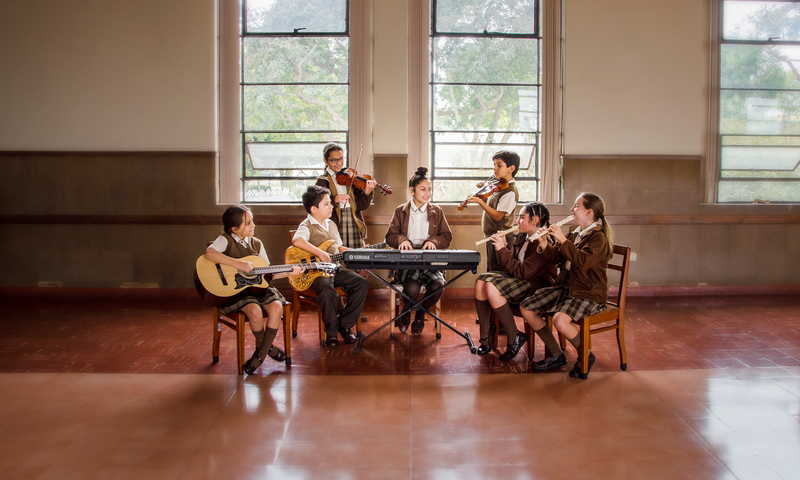 It is a tradition in Carmelites to discover, motivate and encourage the sports and artistic talents, whith the inspiration and inicial impulse of the parents, that have the intention to reach the biggest amount of students as possible, the oportunity of developing more sports and cultural abilities. The challenge taken by Workshops for the sake of Integral Education, implies from this area, to develop in the students, art and sport abilities. To integrate and strengthen the concept and practice team work; as well as to incentivate the development of social abilities at each level of formation, from the first years, with each of the disciplines that they can choose. This preparation will lead many of them to represent us in the teams of High Competition, the Official Tournament of ADECORE. Additionally and especially thinking in those students that maintain outstanding third and fifth academic superior at the beginning of 6th grade of primary, our Carmelites direction created the French Club. Finally, countaing on our staff with teachers of diverse and selected specialities; each student will finish their formation at our Institution, with the certainty and security of conducting on a proper and also, outstanding way, in the curricular area as well as the extracurricular.